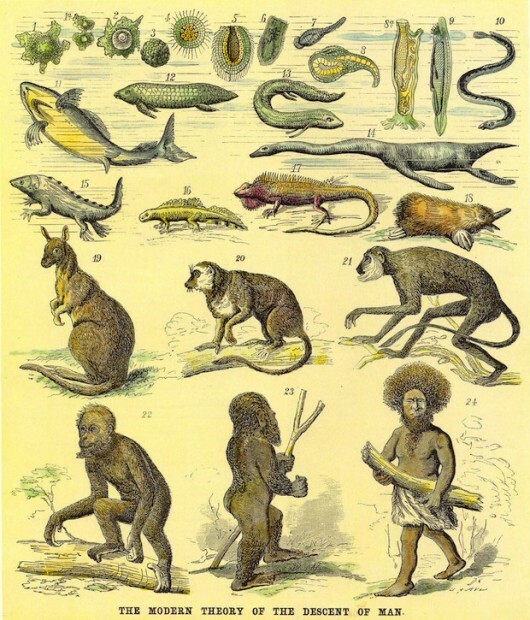 Brain Post: Why Do Humans Have No Fur? There are a lot of theories about why humans don’t have any fur. We’ve narrowed it down to the 3 leading theories for you. 1. HEAT THEORY = Africa was hot when we were evolving. Real hot. Walking upright got us up and away from the hot soil. Losing our fur allowed us to lose heat more easily. Sweating increased evaporative cooling and cooled us down. 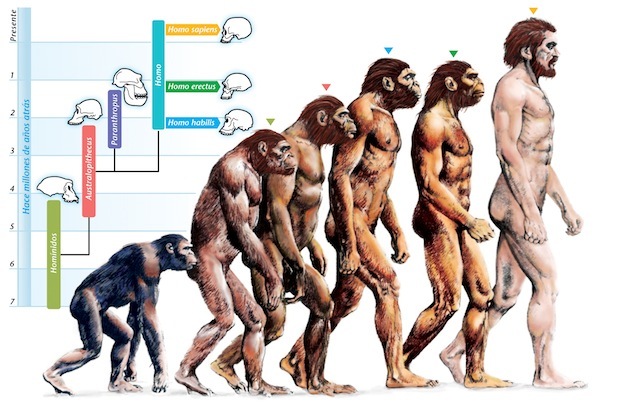 Once we got upright and started to walk around in the sunny savannah we were no longer in the cool forest of our ape ancestors and we had to lose the fur to make it easier to rid ourselves heat. 3. PARASITE THEORY = It’s no secret that fur hides ticks, lice, flies, and other nasty ectoparasites. These creatures aren’t just annoying and blood sucking, but they bring deadly illnesses like one of the world’s number one killers: malaria. 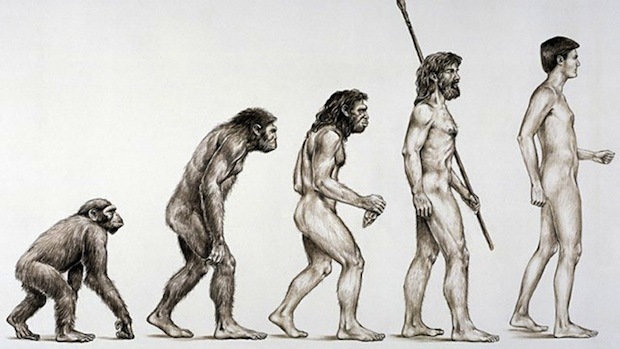 As human’s brains grew (largely due to the ability to successfully hunt, cook, and eat meat) we became smart enough to make clothes, build shelters, and create fire. This enabled us to lose the fur to avoid the parasites while being able to stay warm at night with our shelter/fire/clothing combination. 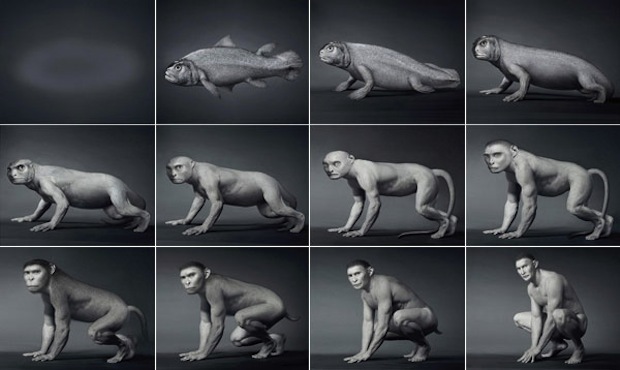 Humans make sure that no other fishes will evolve up and conquer us. The one thing we’d like to point our is that our hair loss could very well have been a combination of the first and third theories above. Scientists don’t win grants on combining other peoples theories, so it’ll be a while before this is explored. That first photo really is creepy. Yuk, we are kinda gross. I wanna grow the fur back. Cool info. Always wondered why girls have no hair. Makes sense. If humans kept fur, then there would be no fur farms cause it would be useless, and 40 million animals wouldn’t die from fur farms each year. Then why didn’t some of us who live in colder climates get the fur back? Is it perhaps because we weren’t meant to stray from Africa? if you dont belive me buy a monkey pet and check if it turns human! 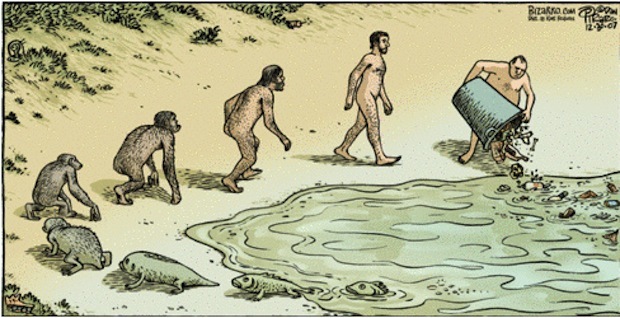 evolution took milions of years. while at maximum if you manage you will stay with your pety monkey for a hundred year. you better argue basing on scientific proves.